I’m happy to welcome Kathleen Jones. I’m not entirely sure. Most stories start with a character I want to write about, or a couple of lines that float across the back of my brain. I’m very curious – biography is a detective game – and so, to some extent is writing fiction. I watch people and I wonder about their lives, what motivates them, about their secret thoughts. In this novel it was a meeting with an extraordinary woman who both terrified and fascinated me. The details of her life that she revealed were so amazing, I couldn’t help beginning to write about her. Although I knew I was writing about someone who had been born ‘intersex’, I hadn’t intended the novel to be an exploration of gender and how its stereotypes affect our lives, but that’s what happened. The problems my main character encountered as she pursued her career as a painter struck a similar chord in me. As a female artist you are pigeon-holed and sometimes it’s difficult to make your voice heard. There’s a big gender divide in publishing too – many more books are published each year by women than by men, but of the books reviewed in the ‘serious’ media most are written by men and reviewed by men. We talk about ‘women’s fiction’ and ‘books for the boys’. Gender inequality is written into our critical vocabulary; for instance in poetry a weak ending is a ‘feminine’ ending, ‘strong’ is always masculine. The same goes for the visual arts, so Zenia and I had a lot in common. I’m a control freak. The word ‘fiction’ has its roots in a Latin word for ‘maker’ which was used for potters creating ceramic pots. I aim for a narrative that’s as carefully and artfully spun as anything that comes off a potter’s wheel. It sometimes takes an unexpected turn, but when I see that something isn’t working, or that new possibilities are opening up, what I do about it is my decision. At the same time, at the subconscious level, all sorts of things are going on, and the gender issue – is there any such thing as male and female, black and white, or are we all shades along a spectrum? – was one of the things that began to emerge from the interaction of plot and character. I decided (with Tolstoy in mind!) that it would be interesting to explore, just a little – enough to provoke thought but not to frighten the horses. Then there’s language – it seems to me that literary fiction is more aware of words than mass-market fiction. It leans towards poetry. I’ve just read Anne Enright’s The Green Road and I love what she does with language; I love Cormac McCarthy for the same reason. But I think there’s also an element of the universal that appeals to a wide range of people in different countries across the boundaries of time and place. Some literary fiction is very experimental, playing around with traditional narrative structure in a way you wouldn’t be allowed to do in mass-market fiction. Carol Shields wrote one of her novels from two points of view, one starting at the front of the book, the other at the back and the endings of both stories met in the middle. And then there’s Transatlantic by Colum McCann, which feels like a collection of short stories that have little to do with each other, but at the end of the book you realise it’s a picture puzzle that makes complete sense as the last piece is slotted into place. In Europe, there are lots of interesting things going on that don’t get talked about in England or the US. I read a lot of Peirene Press translations from contemporary European fiction and regularly get knocked out by the quality and the different approach to narrative. (Try Mr Darwin’s Gardener by the Finnish writer Kristina Carlson) It frustrates me that I can’t see any reason why a work of literary fiction shouldn’t be a best-seller. They’ve sold very well in the past and we’re still reading the classic examples. Surely it’s just down to marketing? I suppose a bit of both. The main character in The Centauress is an artist called Zenia, officially classified as female, who was born in 1923 into a very conventional Catholic family, as a hermaphrodite. Even now people know very little about this condition, even though one in every 2000 babies will be born with some gender anomaly. It isn’t talked about, yet it can have tremendous repercussions for children as they are growing up, and for the adults they become, if it isn’t handled in the right way. So I hoped to expand people’s knowledge. It was also written in the hope of offering comfort. The other main character, Alessandra, is someone who has lost her family in a terrorist attack. When the two women meet, they each give the other something that helps them through a crisis in their lives. It’s a novel about surviving some of the worst things that life can throw at you and finding a way to go on. A tramp on the streets of New York tells a young, suicidal Zenia, ‘The whole world’s a candy store – you just gotta get in there with a cart.’ He’s crazy but he makes her see the absurdity of life. In a way, the issues were secondary. They have to be. I think it was Tolstoy who said that a writer must never write about issues ‘except in terms of character’. The novel is based on a very remarkable woman I had the privilege to know, in Italy, who made no secret of her dual sexuality. ‘I am Gemini, the twins,’ she used to say. ‘I see everything from both sides.’ Her life story was such a wonderful story, it compelled me to write about her. The novel is based on a real life, though heavily fictionalised. I began writing as a poet, then went into broadcast journalism and began writing literary biographies to make a living and keep a roof over my head for my children. When I began to write fiction, it was probably inevitable that it would be at the literary end of the spectrum. But I also write historical fiction and won an award for a novel called The Sun’s Companion, which is set just before the second world war. I love writing all kinds of things, including journalism and short stories and I’d hate to be pigeon-holed as a particular kind of writer. That was what I hated most about being traditionally published and one of the reasons I left. They wouldn’t let me write the biography of a man (!!!!) and kept telling me I was a ‘female literary historian’ and my readers expected a certain type of book from me. I was also made to write books under pseudonyms if they weren’t exactly what they wanted. Ridiculous! I suppose one of the reasons that it’s considered literary fiction is because one of the characters is a writer, a biographer. Mass-market fiction hates books about writers because it immediately throws up questions about the act of writing. The novel also deals with the difficult issues of gender, and non-traditional relationships. Although it has a plot and a lot of narrative hooks, it relies on the reader being captivated by the characters enough to want to read from the beginning to the end. Voice was also important – the novel is set in Croatia, London and New York, so there are characters from across Europe and the US and each one had to have an individual way of speaking. Zenia’s voice was particularly important because there are short extracts from taped interviews she gave her biographer at intervals through the book. She is quite eccentric and a very unreliable narrator, so that has to be conveyed to the reader. It is her voice, as well as her unconventional appearance, that fascinates Alessandra and I wanted it to fascinate readers too. But, yes, there are elements of other genres too. There’s a big romance, and a mystery concerning details of Zenia’s life at the heart of it, so it crosses lots of boundaries. There is so much literary snobbery in the ‘literary establishment’, particularly in England, that I wouldn’t know where to start telling you about it. I have a day ticket, because of my traditionally published biographies, but will never gain full membership. The reasons are complex: I come from a working class background and live in the north of England, a long way from the magic circle around London, so I don’t frequent the clubs and the social events where everyone networks. I wasn’t educated at Oxford or Cambridge or East Anglia. I’m not an extrovert, so I don’t find networking easy, and prefer an evening with friends to circling a room with a glass in my hand making mental lists of the people who should be made aware of my name. On the various occasions when I’ve been invited to be part of the ‘literary mafia’, I haven’t enjoyed the critical, competitive atmosphere. It really is cut-throat. 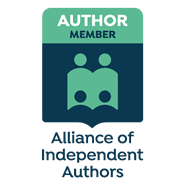 Indie authors, on the other hand, are one of the most supportive, friendly groups I’ve ever been part of. They are very diverse and I’ve made some good friends. This is where the hope lies for the literary novel, from authors who are reaching out to the readers who love a more rewarding read, and not thinking about getting their novels on the university syllabus, or a review in the Times Literary Supplement. And certainly not fulfilling some arbitrary genre category invented by the marketing manager at one of the Big 5 publishing houses. And then there’s the creative writing MA industry, which is the big driver of ‘literary fiction’ these days. I’ve taught these courses, when desperate for cash, and they encourage the production of artificially ‘literary’ writing most of which is very mediocre. There’s a sort of ‘sameness’ to it. But what they are producing aims to define the genre. MA courses are the new hunting ground for agents and publishers looking for talent – it’s seen as an easy slush pile to trawl. A really original gift often gets crushed in the academic grinding mill. Believe me, the academisation of literature (both the reading and the writing of it) is one of the big tragedies of the twentieth century. It makes me want to weep. Okay, rant over. You can all come back now! It’s always going to be a minority sport, both in traditional and Indie publishing, in my opinion anyway. But literary fiction is important because of the experimental element. It’s a fertile laboratory. What happens there drives the future of the novel. Mass market authors will always plunder the ideas that ‘literary’ authors come up with. It would be nice to see more literary fiction in the Kindle store though, but there’s no denying that it earns less money than its genre relatives. Thanks for having me, Jay, and allowing me to share my thoughts. Comment: Questions or observations for Kathleen Jones can be left in the comments section below. If you’re an author who wishes to join the ranks of other writers of literary fiction who have participated in the LitFic survey, click here. Kathleen Jones is a poet, biographer and novelist, author of eight biographies including Catherine Cookson: The Biography, published by Time Warner, which was in the top ten best seller lists for 8 weeks. She has also worked in broadcast journalism and has won national awards for her short fiction and poetry. Kathleen is the author of two novels, The Centauress and The Sun’s Companion, and an awardwinning collection of poetry, ‘Not Saying Goodbye at Gate 21‘, published by Templar Poetry in 2012. Her latest book is a travel memoir, Travelling to the Edge of the World. Kathleen has taught creative writing in a number of universities, is a Royal Literary Fund Fellow, and in 2012 was elected a Fellow of the English Association for services to literature. Connect with Kathleen on her website, her blog, on Twitter and on Facebook. Understanding or even just trying to understand differences in sensibility across countries and continents would be a worthy discussion in and of itself. Thanks, Kathleen, for such wonderful insights. I sometimes regret not being a visual artist or musician, Jay – it would be much easier to work in a medium that didn’t require translations! Thanks Dan – I’m glad you also like Peirene. I think we look too often across the Atlantic for literature rather than in our own backyard! Thank goodness! Another control freak. I was beginning to think I was unique (not possible). is such a perfect goal. Books are rewarding, but literary writing attempts to make it MORE rewarding to the reader. Rewarding how? By the evidence (usually subconscious and compared to other books) that the author is careful, uses words other than the first one that comes into his head (and not merely something from the thesaurus, but the best choice), understands the use of language and literature and breaks with it deliberately rather than by accident when necessary. I loved the contrast between the friendliness of indies and the literary ‘mafia.’ I’m afraid I’m not MFA friendly, being an autodidact in writing (horror of horrors). And an introvert. Possibly because Academia is a hierarchichal place, where only one person can be Department Chair in English Literature, etc., the struggle is primal: earn MFA or PhD, write a book, have a traditional publisher bless and vet it, get a teaching position in creative writing based on the degree, achieve tenure. Repeat. So the freedom to create depends on everyone following the rules, and moving slowly up the pyramid if they can. Not very free, and not indie-free. There is barely enough to go around as it is, and only the ‘best’ students get put on the start of the track. The struggle may or may not leave the ‘best’ writers in control of educating future generations, but at least it’s a clear career path. I would never qualify, so it’s probably as well that I never attempted it. On the other hand, anyone can read mounds of good literature and learn what separates the good from the not as good – and have their standards formed by their reading. Learning to write is the process of having high standards – and realizing that the first efforts go nowhere near them! And then figuring out what to do. Some people do that with formal education IN writing – others on their own. I don’t disparage the other path; but it is not the only one to the summit. And modern digital techniques have shown us many more paths – and many more mountains. I liked your rant, Kathleen. And I have become, for better or worse, part of the new blood – simply by writing and publishing. And out of control of the gatekeepers – except that indies have not yet penetrated the awards systems to the degree that will be needed for success.